Anamul Haque is a Bangladeshi cricketer who made his ODI debut in international cricket on 30 November 2012 against West Indies. It is a matter of extraordinary that he made his maiden century in the second game of his on December 2, 2012, and he came to the spotlight over the country. He is considered as the best opening partner of Tamim Iqbal since ever Bangladesh cricket history. Anamul Haque was born on December 16, 2012, in Kushtia Bangladesh. 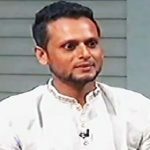 He studied at Kushtia Zilla School until class six. Then he enrolled at B.K.S.P. 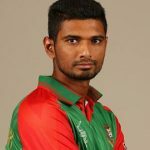 Anamul was passionate about cricket from his early childhood thereby Anamul admitted at Bangladesh Krira Shikkha Protishtan. Anamul Haque is a Bangladeshi wicket-keeper and right-handed batsman. 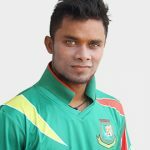 He played in Asia Cup 2012 for Bangladesh. 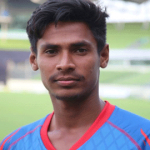 Anamul Haque was the captain Bangladesh U 19 world cup 2012 in Australia. 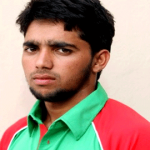 He was the highest scorer including two century in the tournament as well as won the prize player of the match. 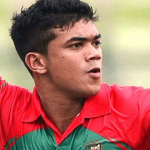 He showed his terrific performance in the BPL, Dhaka. Anamul Haque made his maiden century in the second game of his career. He scored 120 runs in this game against West Indies and won the man of the match prize. In the World Cup 2015, Anamul made a magnificent performance but matter of regret that he is left out from the Bangladesh squad for a right shoulder injury during the match against Scotland. Bangladesh faced slight trouble in the World Cup 2005 for Anamul’s injury.Anamul Haque is one of the quality batsman of Bangladesh already who turned himself as the regular member of Bangladesh squad.